Dr. Furr: Glaucoma is a chronic disease that affects the health of your optic nerves, which are the cables that run from your eyes to your brain. It typically progresses slowly in both eyes and can lead to loss of side vision, or even blindness, if not detected and treated early. Glaucoma is usually associated with increased eye pressure, but you can still have glaucoma with normal eye pressure. Therefore, eye pressure is an important component of every eye exam, but it is not the only measure eye doctors use to diagnose and monitor glaucoma. There is no cure for glaucoma, but there is treatment that can prevent vision loss if started at early stages of the disease. Dr. Furr: Glaucoma is usually associated with high eye pressure, but we also know that someone can have glaucoma, even if they have normal eye pressure. There are many types of glaucoma; it can be caused by different secondary, or unrelated, issues such as trauma to the eye, medications, or even differences in someone's eye anatomy that makes them susceptible to high eye pressure. Most often, glaucoma is diagnosed as a primary condition which means that glaucoma is not caused by any other condition. If glaucoma is suspected, then your eye doctor will determine your individual risk for progression with specialized testing and careful consideration of specific risk factors and secondary causes of the disease. Dr. Furr: Glaucoma can occur in anyone and usually occurs later in life, more commonly in someone's late 50s or 60s. Rarely, someone can be born with congenital glaucoma, in which vision loss can occur at a very young age. There are specific risk factors that make certain individuals more susceptible to developing glaucoma such as: family history, African American ethnicity, increased eye pressure, age, long-term corticosteroid use, eye trauma, and existing medical conditions like diabetes. I always recommend regular eye exams for all my patients to detect early changes that could be related to glaucoma. Also, make sure to tell your eye doctor if you have any of these risk factors, so he or she can evaluate you properly. Q. How is glaucoma harmful to vision? Dr. Furr: Glaucoma, by definition, is damage to your optic nerve inside your eye. This damage manifests as loss of your side vision from the outside toward the center part of your vision gradually over time. Once you lose vision from glaucoma, it does not come back. If left untreated, glaucoma can cause permanent blindness in one or both eyes. Q. Will I go blind from glaucoma? Dr. Furr: Yes, it is possible to go blind from glaucoma, but it does not happen very often if it is diagnosed and treated at an early stage. Treatment is meant to prevent further vision loss because once you lose vision from glaucoma, it does not come back. In my experience, I have occasionally seen some testing results improve after starting or changing glaucoma treatment, but it is never something that I promise will happen. Q. How can I tell if I have glaucoma? Dr. Furr: Glaucoma is sometimes referred to as a silent thief of sight since most people will not realize they have glaucoma without regular eye exams. You normally do not notice any symptoms or change in vision until a profound amount of vision is lost. Also, you cannot really feel if your eye pressure is high unless it is significantly elevated. That is why it is important to have regular eye exams in which your eye pressure is checked and the internal health of your eye is evaluated on an annual basis. Q. How is glaucoma detected? Dr. Furr: Glaucoma can be detected by a comprehensive eye exam and supplemental testing to confirm the diagnosis. It is with careful consideration of all the risk factors evident in one individual that a diagnosis can be made. In addition to assessing the overall health and appearance of the optic nerve tissue compared to the level of eye pressure within a person’s eye, there are several tests available to detect and monitor progression. Specifically, an optical coherence tomography (OCT) scan of the optic nerve can safely measure the loss of nerve tissue over a period of time and compare it to that of a healthy individual within minutes. Additionally, a visual field test can give your eye doctor a detailed look at whether your side vision has or could be significantly affected. These tests are regularly available at all eye doctors’ offices that treat glaucoma. Q. How is glaucoma treated? Dr. Furr: There are many different treatment methods for glaucoma ranging from a simple eye drop to surgery. I believe the best treatment option is determined after an honest discussion with a patient that addresses both the patient’s lifestyle and potential limitations such as allergies and underlying medical conditions that might rule out certain medications. In the US, the first line treatment is usually a simple eye drop. Other options include various laser procedures depending on the underlying type or cause of glaucoma. Finally, surgical treatments are reserved for moderate to severe stages. Q. Will my vision be restored after treatment? Dr. Furr: The simple answer is no. Theoretically, once vision is lost due to glaucoma damage, it doesn’t come back. I have seen cases where vision defects did improve, but it is never something I promise when starting someone on treatment. 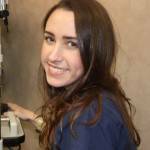 I always educate my patients that our treatment goals are to prevent further vision loss. Q. Can glaucoma be prevented? Dr. Furr: The best way to prevent damage from glaucoma is to be pro-active with your eye health and get regular eye exams. Early detection and treatment are crucial to prevent vision loss from this condition.